Dipped and Dyed Post on The Etsy Blog! Over the moon doesn't begin to describe the feeling I experienced when Etsy asked me to write a post for their blog!! 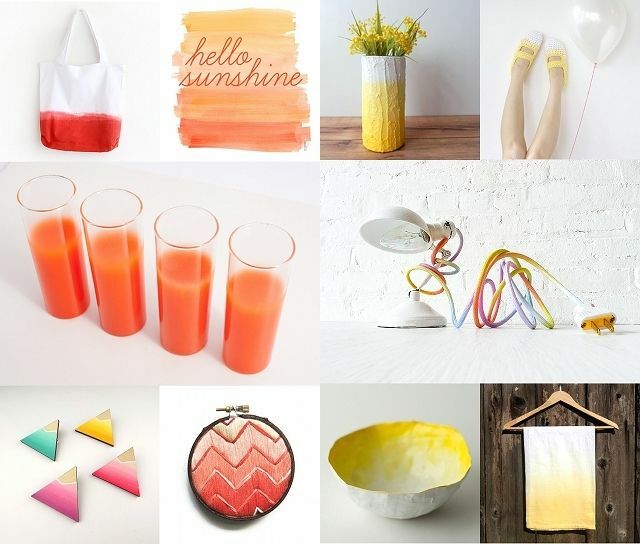 It is such an honor to feature so many talented Etsy sellers. 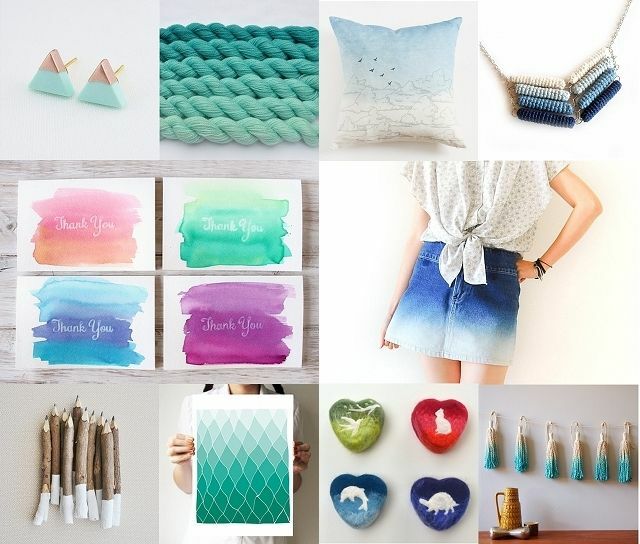 The theme of the post is Dipped and Dyed, highlighting all kinds of two-toned treasures from the handmade community. My adventures in dyeing yarn with Kool-Aid definitely served as a source of inspiration for this post. I can't get enough of the dipped look. It is so eye-catching and works with almost any medium. I love it! You can find the full post and links to all of these lovely items on The Etsy Blog. What do you think of the dip-dye trend? Have you experimented with the dipped look on any of your projects? I would love to see photos!